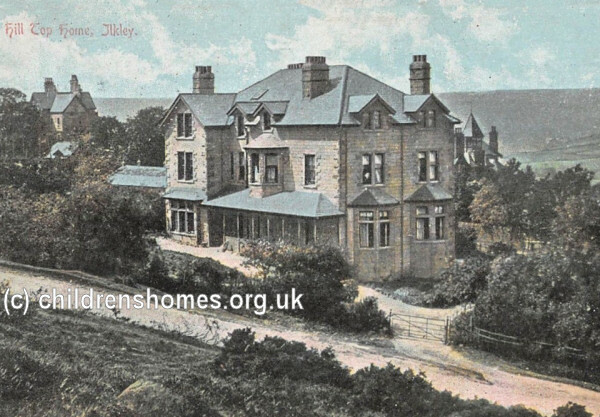 Hill Top was a large house on Westwood Drive, Ilkley, on the edge of Ilkley Moor. By the early 1900s, it was in use as a convalescent home, a role it continued until the 1950s. By 1959, the property was in use as a children's home, run by the West Riding County Coucil. The home could accommodate up to 26 children. It continued in operation into the 1970s. The building no longer survives and the site is now covered by modern housing. James, Erwin Redeemable: A Memoir of Darkness and Hope (2016, Bloomsbury) — Powerful autobiography of a man who spent some time at the Hill Top home.